If you are thinking about a new project for your home, garden, or landscape, you might be having trouble deciding among the various material choices at your disposal. Should you use concrete, asphalt, brick pavers, paving stones, natural pavers, or stone? The list of potential materials, and all the various permutations and variations that are possible, can be very confusing and overwhelming for the uninitiated. To help you out, here is a brief paving guide that will help you weigh the pros and cons of each material type. There is no one “best” material, as the material you use will depend on a lot of factors. In some circumstances, stone would work best; in others, concrete; in others, pavers. What we can tell you, however, are the various features of each material so that you can make an educated decision. At the end of the article, we give our basic comparisons for each material across these dimensions. You can thus compare the relative merits of concrete vs pavers, stamped concrete vs pavers, and any other comparisons you may need to make. While our decisions are arbitrary, and may differ with those of other experts and contractors, we hope at least to give you a rough guide on this topic. This is loose stone that is spread in the area. 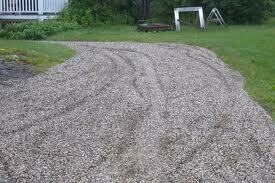 They are used most often for driveways, though they can also serve as parking areas or as landscaping materials. There is a large variety of stones available, from small to large, and in a variety of colors. Obviously, these stones won’t break or crack. Stone withstands vehicular traffic, weather, sun, water, and other effects well. You won’t have to worry about replacing this material due to damage as long as it all stays in place. Stone is a great long-term option. However, it will get thrown around, so you’ll probably have to touch the project up once in a while. You are relatively limited when it comes to the design options at your disposal. Obviously, you can mix and match colors and types of stone, and you can make your projects any kind of shape, from rectangular to circular and anything in between. Otherwise, however, you’re relatively limited with your design possibilities. Installing stone is very easy. Simply clear an area, fill it in with stone to the appropriate depth, and you’re done. In the right contexts, stone can look nice. However, it an also look boring. In addition, it can often get spread out throughout your lawn and home, making a big mess and a nuisance. This is an area where stone suffers. You will probably have to deal with stone being scattered around your lawn and yard, making it a pain to clean up. You’ll also deal with weeds. Over time, the stone may have to be refilled as it inevitably wanders off. You may have to level it out if it ever gets distributed unevenly – this might happen if you drive on it, for instance. It’s also impossible to plow or shovel snow off it without disturbing the surface. Stone is very cheap. Combined with how durable the material it is, stone is a good overall investment, though the property value of your home won’t be seriously changed. Asphalt is very strong yet flexible, as it will stand up to both heat and cold. However, if it gets too hot, it could get soft – this could be especially problematic if you drive on it. However, asphalt will withstand stains, the sun, water, and general wear and tear. Asphalt will last you for decades, as long as it installed and maintained properly. However, you will have to deal with cracks and fading, so you’ll probably have to do repairs along the way. Otherwise, expect to replace this after a decade or two of service. You’re very limited with your design options. 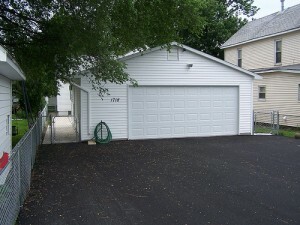 While colored or stamped asphalt is possible, it will increase the cost of your project. Otherwise, you’re limited to the standard black driveway. You can create your own shape and dimensions, but otherwise you’re pretty locked in, unless you add a cobblestone or paver apron and border, or some other embellishment. An asphalt driveway and other projects are usually out of the reach of most homeowner’s skills, so it’s not a great DIY project. You’ll have to hire a contractor to do it; unfortunately, asphalt contractors are notoriously unreliable, making getting the job done quickly a pain in some circumstances. Asphalt is very common and it doesn’t look as great as other options, especially when it cracks and fades. You’ll have to seal it to maintain its strength and color. In severe circumstances, patching and resurfacing may be necessary as well. Snow can be easily removed from this surface. Asphalt is relatively cheap, hence its popularity. In terms of value, it is a good buy, as the material will last you a long time, assuming it’s installed well. An incredibly popular material due to its strength and low cost, concrete is most often used for walkways, driveways, and patios. Concrete is incredibly strong. You won’t have to worry about force from above (cars, heavy objects, weather) damaging it. Force from below, however, can be a problem – freeze thaw cycles put pressure on the slab, often leading to cracks. Concrete, if well-installed and maintained, can last you for decades, so you shouldn’t have to reinstall the material. You are rather limited with the standard concrete, as the grey color of the material can be boring. However, if you are willing to pay a little more, you can get stamped, colored, or stained concrete. This can multiply your design choices, allowing you to create concrete that will match and complement your home’s decor. You’ll have to pay for that privilege, however. Homeowners who’ve worked with concrete before can install it themselves, especially if the project is small. Homeowners with little experience should look for a contractor; ditto for those skilled homeowners trying to tackle a large and/or complex job. Regular concrete is rather boring, though it is ubiquitous. Decorative concrete is far better, as long as it doesn’t crack or chip. You may have to seal concrete once in awhile, especially if it’s showing signs of damage, but for the most part concrete is maintenance free – as long as everything goes right with the installation. Snow can be easily removed from this surface. Concrete is quite cheap, especially given its strength and durability. Investment in concrete is an investment for the future, but don’t expect your home value to increase that much. Made from concrete, these pavers interlock through a system of sand-filled joints, ensuring that the entire structure stays together. Concrete pavers are incredibly strong, both individually and collectively. 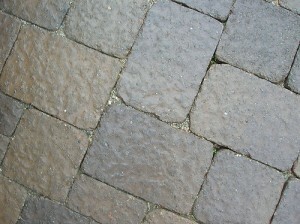 In fact, some pavers are two to four times stronger than concrete. Thus, they will withstand all rigors of the environment. 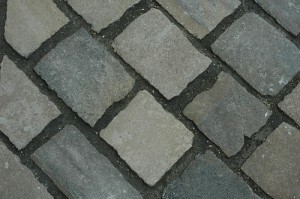 Due to their strength and flexibility, and the interlocking nature of pavers, this material will last you for decades. You will likely not have to worry about installing a new patio, driveway, walkway, etc. unless you want to make a change. Your design options are limitless. There are a ton of paver shapes, paver sizes, types, and colors available. You can lay them in a variety of paver patterns. In addition, you can pair your project with other accessories, like steps, stoops, barbecue pits, retaining walls, and more – all made from this material. Pavers installation can be difficult, but since there’s no concrete involved, it can be within the skill range of some DIYers. 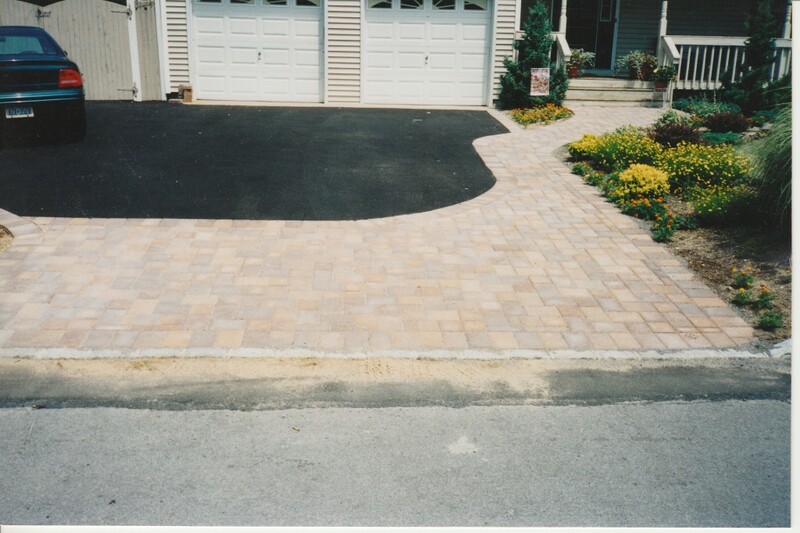 However, most will want to have their projects installed by professional paver contractors. 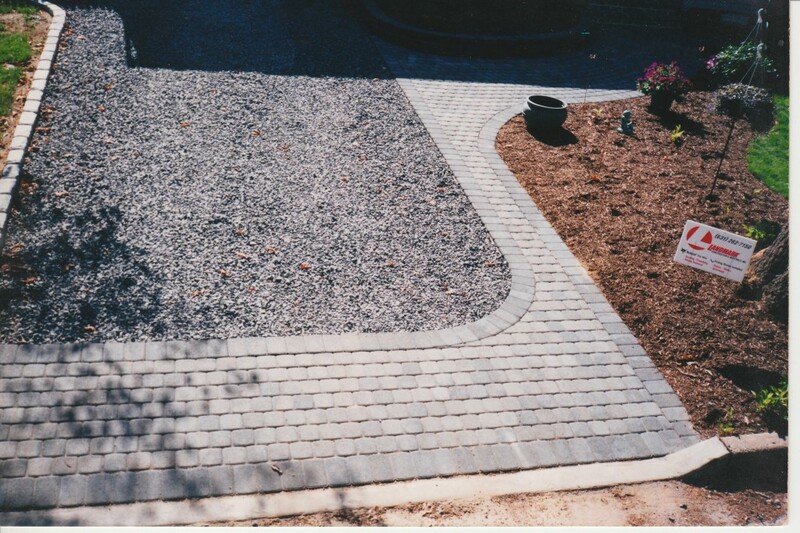 Pavers, when well-designed and installed, look beautiful. They go well with all home styles and themes, and they retain their beauty for many years. Pavers are near maintenance free. You may have to seal them occasionally with concrete paver sealer, and perhaps reset pavers that have settled, but for the most part they are a hands-free material. You can easily remove snow from them. Concrete pavers can be expensive, mostly because they have to be laid by hand. However, they add much value to your home, so you can consider the high initial price as an investment in your home and in your future. A similar material to concrete pavers, these resemble the bricks you see around your house, but they are also different in many important ways. This material is similar to concrete pavers – the only major difference is in the material they are made from. Brick pavers are made from clay, not concrete. In terms of the battle between concrete vs brick pavers, they are relatively equal in terms of strength, with perhaps a slight edge to concrete. Brick pavers will stand up to all kinds of abuse, and your projects will last many years. You won’t have to worry about reinstalling a new material for a long time. Though options used to be very limited, manufacturers are coming out with new brick designs all the time. While you will largely be limited to the standard ‘brick size,’ you will be able to try different colors and textures. You can thus lay them in a variety of patterns and project designs, just like concrete pavers. Like concrete pavers, most homeowners will want to have a contractor come in and install them, though it can be a potential DIY project. Brick pavers look quite nice, though perhaps not as ‘modern’ and ‘elegant’ as concrete pavers. However, with teh right home decor, brick pavers can and do look fantastic. Brick pavers are very low maintenance – just some sealing and resetting of pavers on occasion. It’s very easy to remove snow from this surface. These brick pavers are a bit more expensive than the concrete variety, but you can expect a good bump in your home value when you add them to your yard. These pavers are literally carved from the earth. There are many different types of materials that fall into this category, from flagstone to granite and cobblestone to travertine and everything in between. Thus, we’ll have to generalize a lot here. While it depends on the particular material, stone pavers are very strong – indeed, they are made from stone carved from the earth itself. If you are looking at flagstone vs pavers, its pretty much a toss up when it comes to compared strength. They may fade in the sun, but they stand up to all kinds of abuse. 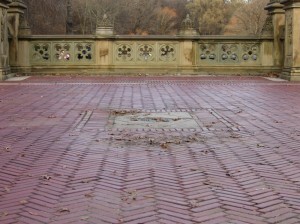 A stone paver project will last for decades. You won’t have to worry about installing a new project ever again if you use this material, barring some unforeseen circumstance. Given the huge variety of stone types, colors, shapes, and sizes, you have near unlimited options when it comes to designing your project. Given the weight and difficulty in handling this material, most homeowners will want to leave installation to the pros. Stone pavers are incredibly beautiful – arguably the most beautiful material out there. You are pretty much bringing the beauty of Mother Earth to your yard when you install this material. Stone pavers are stone. They require almost non-existent maintenance. Snow removal is easy. The major downfall of flagstone pavers and other natural stone is price. Depending on the stone you pick, you could pay double, triple, or more than any other material. However, you’re adding a ton of value to your home as well, so you can consider it an investment in the future. This entry was posted in Project Ideas, Reviews and Comparisons and tagged advice, comparisons, costs, DIY, FAQ, other materials, types of pavers by Will Grander. Bookmark the permalink. My mom has been wanting to tear up the backyard and do a little landscaping with it now that our dog is no longer back there destroying everything. I think we’ve already decided to use some stamped concrete for the patio which seems to be the good choice based on what you’ve discovered. Thanks for breaking them all down for us. How can we best maintain it so that it lasts longer?